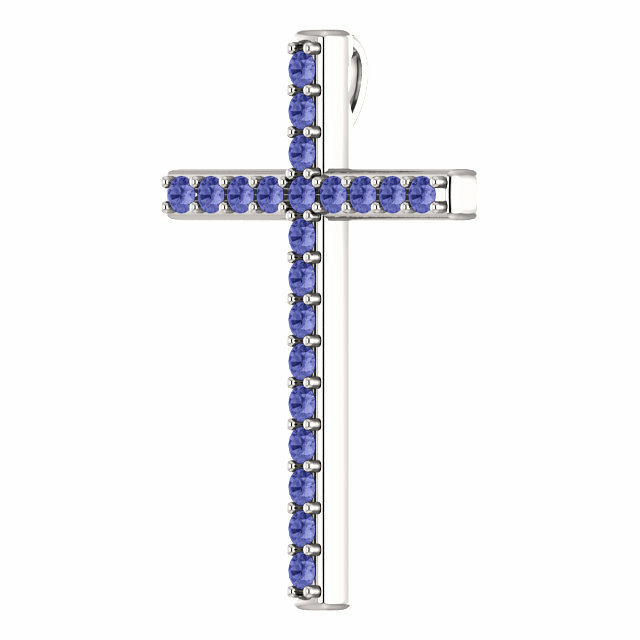 Tanzanite is the rare and beautiful gemstone featured in this sterling silver cross pendant from Apples of Gold Jewelry. We are inspired by such beauty to think of the revelation of Jesus Christ given to His church through a vision to Saint John the apostle. "The Revelation of Jesus Christ, which God gave unto him, to shew unto his servants things which must shortly come to pass; and he sent and signified it by his angel unto his servant John:" (Revelation 1:1). The book of revelation is meant to be understood. It is a revealing of things to come. Take the time to study the Word to understand its deep meaning about the End Times. 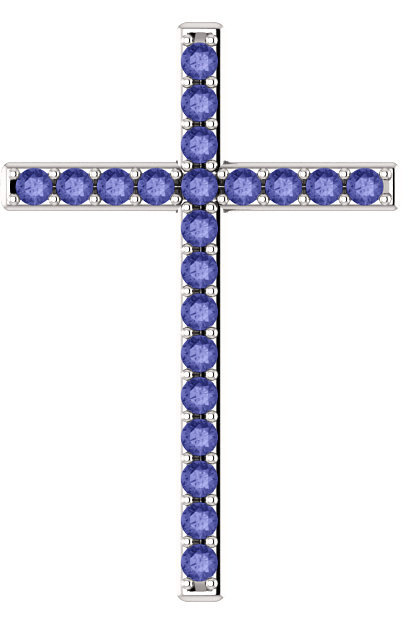 This cross pendant is set with a total of 21 "A" rated 2mm authentic tanzanite gemstones and the cross is made of .925 sterling silver. A beautiful, winning combination that is requisite for such a high-quality and beautiful piece of fine Christian jewelry. The cross measures 1 1/4" tall x 0.85" wide and includes a hidden bale which is concealed behind the cross when worn. Add a matching sterling silver box chain to complete the piece or wear the cross with one of your own choosing. Also available in yellow or white gold, shown below. 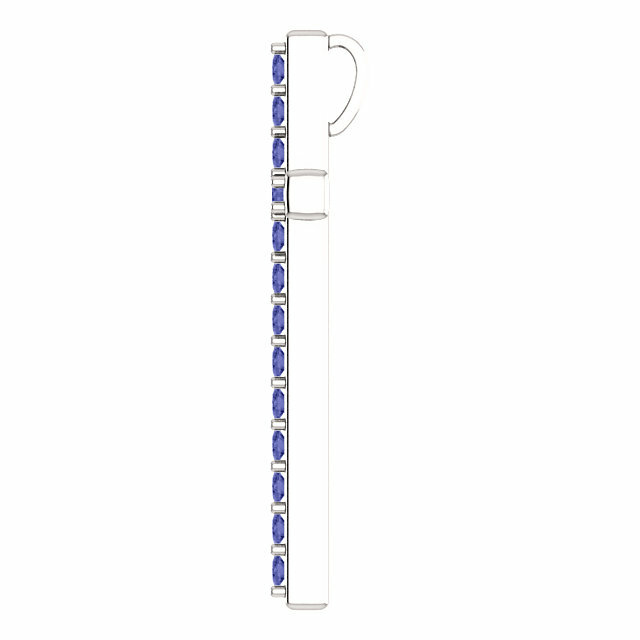 We guarantee our Tanzanite Revelation Cross Pendant, Sterling Silver to be high quality, authentic jewelry, as described above.